Lucasfilm will celebrate the 10th anniversary of Star Wars: The Clone Wars with a panel of special guests. Supervising director Dave Filoni gives a video update with footage from the final season, Star Wars Detours gets delayed. 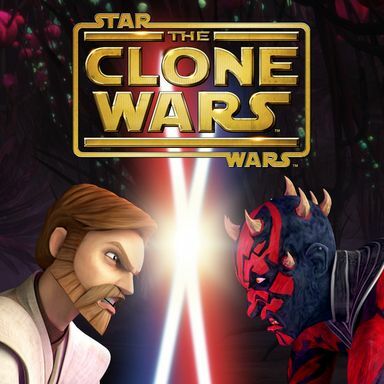 Star Wars: The Clone Wars May Head to Disney XD After Season 5! The popular animated series is expected to end its five-year run at Cartoon Network after this current season concludes in the spring of 2013. Darth Maul returns and Anakin starts to go off the deep end in the newest season arriving Sunday, September 29th on Cartoon Network. COMIC-CON 2012: Star Wars: The Clone Wars Season 5 Sneak Preview Videos! Take a look at scenes shown to fans in San Diego from the upcoming season, debuting this fall on Cartoon Network. Star Wars: The Clone Wars Season 5 Trailer! The nefarious Darth Maul returns in this new season of Cartoon Network's animated series, debuting in September. The resurrected Sith Lord returns for a rematch against the Jedi Master in Episode 4.22: Revenge airing Friday, March 16. Darth Maul returns to the Star Wars universe this Friday, March 9th in the all-new Season 4 episode Brothers. The comedic actor takes on the fan favorite character in Bounty, the third-to-last Season 4 episode premiering Friday, March 2nd. Star Wars: The Clone Wars - The Return of Darth Maul Season 4 Finale Promo! The Sith Lord is resurrected by his brother Savage Opress to seek revenge on the Jedi in this two-part episode beginning March 9th.